One of my most treasured memories was in the Fall of 1987, sitting in a hot spring in Hokkaido, the snow falling, the steam rising, and a beer in hand. In addition to the great food and shopping, tourists are flocking to Japan for the country side, and in particular, enjoying onsen throughout the country. Once you (some of you) get over the embarrassment of getting naked with a whole bunch of strangers, you get yourself all clean in the shower area outside the bathing areas, and then you dip your toes into the water. And yes, it’s hot! Some of the best onsen are in Kyuushu, a large island in the Western part of Japan. 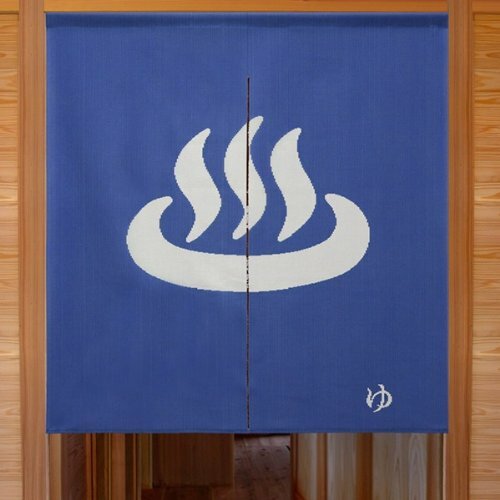 And to get Japanese and non-Japanese alike to venture beyond the cosmopolitan confines of Tokyo and Osaka, the government of Oita Prefecture started a campaign to promote their onsens….using Olympians. In typical tongue-in-cheek Japanese fashion, the promotional videos portray Japanese synchronized swimmers performing in the onsens of Oita. The athletes include Mikako Kotani, who won two bronze medals at the 1988 Seoul Olympics, as well as Raika Fujii, silver medalist at the 2000 Sydney Olympics, and bronze medalist at the 1996 Atlanta Olympics. The campaign is called “shin-furo”, which is a word made up from “synchronized” and the Japanese word “furo”, which means bath. Japan had a record 2.68 million visitors in Japan in July, well on its way to topping 2016’s record number of foreign tourists of 24 million, blowing past its original target of 20 million by 2020. The 2020 target has been re-set to 40 million visitors. For repeat visitors, the Oita onsens should certainly be a hot place to spring to. The Real Reason to Come to Japan for Tokyo 2020 Is…. Lloyd went on to provide interesting insight from the survey. He noted that the most popular Japanese dishes were sushi, ramen, Wagyu steak or sukiyaki. He also added that depending on the region from where the tourists come, the Japanese food of choice differs. For travelers from Vietnam, India, Germany, Italy, Spain, Russia, Canada, or France, the number one choice is sushi. For tourists from Taiwan, Thailand, Malaysia, China, Singapore, Indonesia, Philippines, United Kingdom, United States, or Australia, the number one craving is ramen. And for those travelling foodies from South Korea or Hong Kong it’s all about the beef – wagyu steak or sukiyaki. I can’t argue with sushi, ramen and Wagyu. Frankly, they are so good here, I’d eat any of those items only in Japan if I had the choice. One of my very good dinners. The Silicon Valley home-sharing accommodation business has faced first-mover angst. While customers seeking cheaper, more varied accommodations are using Airbnb more and more, the hotel industry in particular is pushing back, lobbying local governments to put a stop to these unregulated competitors. Even in San Francisco, its home base, Airbnb faces pressure from the government to prove that the Airbnb hosts are indeed residences of the rooms they rent out, not companies that own various condos or houses and rent out rooms like hotels. But Airbnb, while it has faced push back from authorities, have just been given a very bright green light in Japan. On Friday, March 10, the cabinet of Prime Minister of Shinzo Abe “approved rules…limiting home-sharing by private citizens to 180 days a year,” according to The Japan Times. Prior to this, hosting a room in your home to rent was essentially illegal in Japan. The impact will be significant. According to this report, hotel vacancies in Tokyo are currently limited, as occupancy rates in recent years have consistently been over 80%, which has allowed the average daily rate (ADR) to climb significantly. With foreign tourist numbers expected to climb, and with the inevitable spikes in demand for hotel rooms for the World Rugby Cup scheduled for Tokyo in 2019 and the Olympics scheduled for Tokyo in 2020, there is continued fear of angry visitors from outside Tokyo and Japan screaming for hotel rooms, certainly with hopes of less expensive options. But also significantly, this is an opportunity to expand the number of accommodations available to travelers in the more remote parts of Japan where corporations are reluctant to invest, as well as put tourist money into the pockets of rural folks whose towns have been hollowed out by loss of youth, and a lack of energy to continue with the labor intensive agricultural business. People owning homes in areas under served by hotels (pick almost any countryside area in Japan) will now be able to step into the breech and offer accommodation with little/no development cost. This will significantly increase the flow of tourists out to more remote areas, which of course will be a shot in the arm for local economies. 180 days a year means that the average household out in the countryside could make up to JPY900,000 or so a year (JPY5,000 average per night) that would have been impossible otherwise – and with very little outlay – thus offering a low barrier to entry per household. There will be a regional property boom, at least in those areas which have visually attractive tourist assets, and this will encourage other regions who haven’t preserved their traditions to do more conservation work to pull visitors. There will be a rebuilding boom, as relatives of hospitalized elderly and the recently deceased start to realize that instead of allowing a home to decay into a rotting ruin, it can be restored and rented out to local and foreign tourists. There will be a surge in demand for rental cars, as the proximity of accommodation to the train station no longer determines where you want to travel. There will be a surge in demand for services to maintain rooms and to look after foreign guests. When I saw the CEO of Airbnb give a talk last year, I remember him waxing poetic about the possibilities for the graying countryside of Japan, where curious foreigners meet elderly entrepreneurs who gain a financial reward, and perhaps a personal reward in opening their homes up to the world. 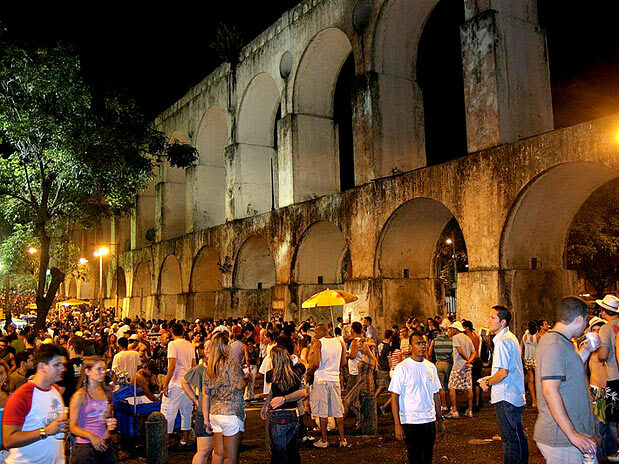 Headed to Rio for the 2016 Olympic Games? Here’s a post from Cozysweatercafe entitled “The insider’s guide to Rio baby!” The blogger interviews Sulvain Leclerc, a program manager in Sports Relations for the Canadian Olympic Committee. Leclerc had lived in Rio de Janeiro for a few months in 2013. 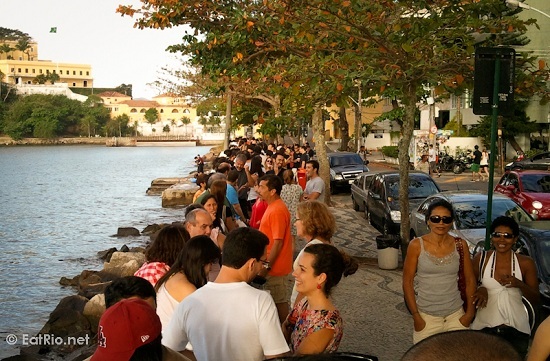 Here are his recommendations for the less-obvious places to go, and things to do in Rio. A view of Rio from Dos Irmãos2. 6. Go to a Juice Bar and drink any real juice (Suco)… and try them all: mango, abacaxi, marajuca, etc! Ota Ward in Tokyo Opens the AirBnB Door a Crack Further: More Rooms to be Available Near Haneda! Nearly 20 million foreign tourists visited Japan in 2015, already approaching the 2020 goal. This 47% year-on-year increase has been a revelation to Japan, making citizens and business owners keenly aware that Japan needs to gear up for continued growth, particularly as we get closer to the opening ceremonies of the 2020 Tokyo Olympic Games. According to this article, the ability for Tokyo to accommodate this sudden influx of foreign tourists has been strained by the supply of hotel rooms. The room shortage is compounded by the weak yen, which results in more Japanese taking vacations within Japan as opposed to overseas. Occupancy rates at hotels in Tokyo and Osaka are routinely over 80%, and sometimes over 90%. So into the breach steps Airbnb, a peer-to-peer business that connects travelers with individuals who want to open their homes, or a room in their home for rent. Airbnb has exploded worldwide as travelers seek greater choice of accommodations, as well as the possible added experience of personalized service and comfort by the owner. It was once thought that Japan, and its particular sensitivity to privacy, would be a bad fit for an Airbnb model. But Airbnb Japan’s business has grown 529% since last year, while the number of listings in this country has also jumped year on year 373%. And this is for a business that is essentially illegal, as Japan’s Hotel Business Law includes taxation of officially recognized accommodations, as well as various regulations around hygiene and safety, all of which Airbnb hosts have ignored. But now, Ota Ward, one of the 23 districts that make up Tokyo, is hoping to legitimize the model, opening the door to individuals and families who need the income, want the business, and perhaps enjoy the experience of hosting strangers in their homes. Along with Osaka, the Japanese government will be looking closely at Ota Ward, with the hopes of expanding this model over the coming years. In an attempt to eliminate such problems, Ota Ward has published rules and screening criteria. They include a requirement that neighbors who live within 10 meters of a rented property be notified in writing before an application is made. The local fire department must also be advised beforehand. Under the ward’s rules, minimum stays are set at six nights and seven days. Guest information such as names, contact numbers and passport numbers must be kept for at least three years. A host must also set up a window to accept complaints from neighbors and be ready to respond in foreign languages in emergencies. What’s special about Ota Ward? It houses Haneda Airport, the expanding gateway to Asia and the world. Between 1978 and 2010, Haneda was, for all intents and purposes, the airport for domestic flights. But since 2010, it has taken on significant capacity as a port of call for international flights. Haneda is now the third busiest airport in Asia, and fourth in the world. And let me tell you, as someone who has flown primarily into Narita International Airport, which requires at least another two to three hours of waiting and travel time to just get into downtown Tokyo, I much prefer to fly into Haneda. Tourists will as well. And wouldn’t it be nice to hop into a short taxi ride to your Airbnb accommodation about 10 to 15 minutes away. Haneda Airport in 1964, the entry point for Olympians from overseas. Travel information to the Amazon: 4 hour direct flight from Rio, followed by either a 3 hour car journey or a short sea plane flight to the lodge. If you’re going to fly all the way to Brazil for the Rio Olympic Games next August, you might as well spend a little getaway time and explore the areas outside Rio de Janeiro. Here is a list of 7 great destinations in Brazil. Travel information to Iguassu Falls: 2 hour direct flight from Rio, followed by a 25 minute transfer. In 1964, Japanese officials expected 130,000 foreigners to visit during the Olympics, so they encouraged proprieters to get ready for the world to flock across the seas, not only to Tokyo, but to the beautiful vistas around Tokyo and beyond. But alas, government projections proved to be overly optimistic as only 70,000 tourists were estimated to arrive that October. Millions of dollars were spent to accommodate more people and make the experience for non-Japanese tourists a good one in popular resorts like Atami and Hakone, but facilities never got close to capacity. Kyoto hoteliers turned down reservations by Japanese wanting to see the old capitol in all its beauty during the refreshing Autumn season in anticipation of the busloads and trainloads of foreigners instead saw occupancy rates plummet, when instead they should have been near capacity. When a country holds the Olympics, there is a promise that the tourists will come and the money will flow for hotels and restaurants. It is a promise that goes unchallenged, and proven time and time again to be baseless. Economist Andrew Zimbalist explains in his fascinating book, Circus Maximus – The Economic Gamble Behind Hosting the Olympics and the World Cup, that a country which hosts the Olympics may very well be welcoming a large number of foreign visitors (athletes, coaches, judges, media, family members, etc. 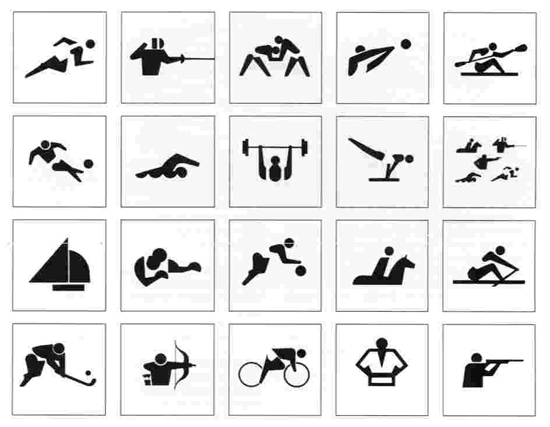 ), anywhere from 10 to 25,000 related to the Olympics. But rarely have there been instances where the number of tourists actually increase. Very often, it is the opposite – tourism decreases, sometimes significantly. Zimbalist cited China, which dropped 6.8% in foreign visitors from 26.1 million in 2007 to 24.3 million in 2008 when the Olympics were hosted in Beijing. London experienced a year on year drop of 6.1% in overseas visitors from July and August 2011 to July August 2012, when the Summer Games were held there. Athens expected 105,000 foreign tourists per night during their Olympic Games in 2004, but in actually hosted only 14,000 per night. Zimbalist does write that Sydney’s number did increase modestly from 2.5 million in 1999 to 2.7 million in 2000 when the Games were held in Australia, but that was more than a quarter less than projected, resulting in low occupancy rates on top of expansion hotel expansion in anticipation of higher numbers – just like in Tokyo in 1964. Every time you hold a mega-sports spectacle like the Olympic Games or the World Cup, you simply won’t have enough accommodations to handle the spike in visitors. The Tokyo Government anticipated 30,000 visitors so they asked area hotels to expand and refurbish for foreign tourists, schools and companies to open up their dormitories, and people living in Tokyo to make their homes available to foreigners. They also had 10 passenger liners visit Japan during the Olympics. These were big ships, 5,000 to 11,000-ton ships with names like “The Brazile Maru”, “The Vladivostok”, “The Oriana”, “The Khubarovsk” and “The Empress of England”. Ten passenger liners arrived in the ports of Tokyo and Yokohama from October 8 to 13, housing over 5,000 visitors, serving as the perfect temporary housing units. All of the ships departed Japan by October 26, two days after the completion of the Games. According to Sports Illustrated, around 115 buses were prepared to shuttle the visitors between their floating hotels in Yokohama and the Olympic venues. Handling the spike in 2020 is definitely a concern for planners. Think Airbnb – get that closet under the stairway ready. Could get you 20,000 yen a night.